Depression is one of the pervasive diseases in the world and so often misunderstood. I know depression well having gone through very severe depression myself for 3 years. But I also got out of it and these programs are based on the processes I developed and used. 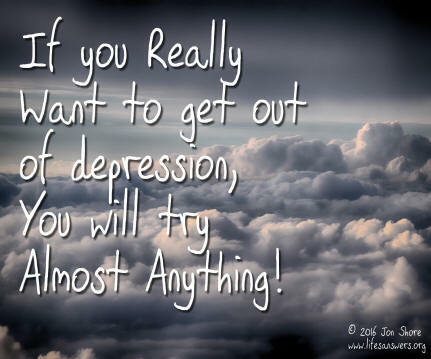 Now this approach for dissolving depression has been taught, tested and used by thousands over the past years with extremely good results in my psychotherapy practice and by others. To use these programs successfully you do not need to believe in all the concepts but it does help to suspend criticism. Just try the meditations, mindfulness practices and methods and see what happens. Your mind may want to discount these ideas and argue with the concepts. Ignore that for now. You can always discount later. Arguing will not get rid of the depression. You can argue and criticize all day long or you can try these methods and be free of depression. Even if you do not consider yourself a particularly spiritual person. Even if you do not agree with all the spiritual philosophies. Try it anyway. If getting beyond the depression is your goal then just try this for 30 days. It is worth the risk. To work with these programs it is essential to practice daily. The more you practice the sooner you will be to get out of the depression. If you are working with a therapist you can introduce these practices to your therapist and enlist their support. 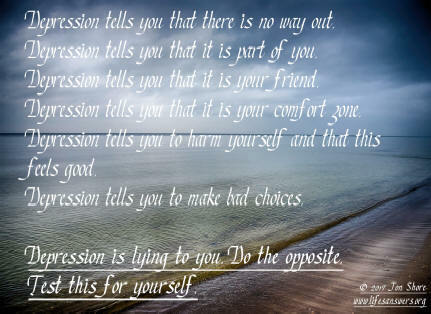 To read more about my personal experience with depression and to read more about the practices required for getting rid of depression you can read about them at my blog. 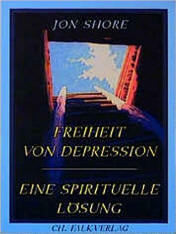 Even the Freedom From Suffering Book is available to read there online for free. These programs have helped thousands, they will help you as well. You can purchase these items easily by just clicking on one of the download options. You will receive an email with a download link immediately after completing your purchase. Payment can be made by any major credit or debit card or PayPal. exposes for what it is. That sentiment: that suffering is an intrinsic part of our very existence, an unavoidable part of life. We experience it as a rule. Who made up that rule? Is it, in fact, a rule? Author Jon Shore leads us to deeply question this. For ourselves we must discover if, in fact, suffering is avoidable or not. Gently, yet powerfully, Shore guides us to our own understanding and experience that suffering is, indeed, not necessary at all. 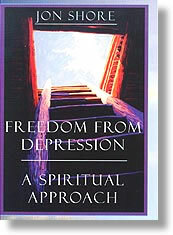 This small book is about how to experience freedom from suffering on a consistent basis in our lives. Sweetly yet firmly, we are brought to look in turn at the shadows – shadows such as fear, sadness, low self-esteem, and depression – that obscure our view of the truth. We are guided to explore, with bare honesty, what these shadows are, how they work and how we can dissolve them. And our discovery is no less than liberating. 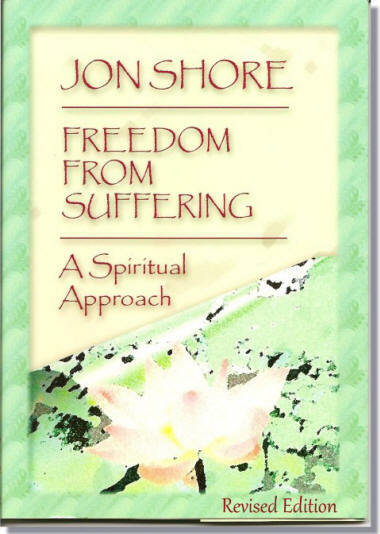 Jon Shore reveals a tried and true way of discovering a deeply founded freedom from suffering, a way tested for many years by many people. As if by the hand, we are led through 14 simple practices, each of which effectively releases our grasp on our burdens. Lighter and lighter we become. The practices’ treasure, however, lies in their consistency: the prescription given here most assuredly works! The gift of this book is a new way of living, in truth, in authenticity. Carefully, softly, Freedom from Suffering brings us to know firmly what we had only dreamed was true: that life is not about pain and suffering, but is instead is an adventure founded in peace and joy and even magic. To download an electronic copy of Freedom From Suffering just click on the link below. If you would like to purchase a beautiful hardcover copy of the book just click on the book cover. "It is certainly a valuable contribution to a problem that I consider the most common dis-ease in the world. I wish it the greatest success." is the audio book version of Freedom From Suffering. The scope of this program is to provide you with some simple, yet powerful tools to dissolve depression once and for all. This is not a deep, psychological or medical discussion of depression. 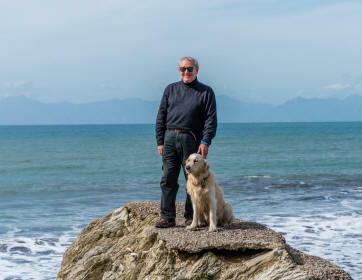 Here Jon is focused on providing you with a clear, honest and understandable guide to ending the pain, sadness and anxiety from a spiritual perspective. "You are a beautiful, perfect Soul, a Spirit, having a human experience, you are not a human having spiritual experiences." This viewpoint is the key to the doorway out of depression. In your Soul, your Authentic Self, there is no depression, pain, fear, anger or self-doubt. The 14 practices on side 1 and guided mindfulness meditation on side 2 of this program will help you regain the viewpoint of your Soul and the freedom, peace and joy that are your birthright. Depression is not an inescapable pit. You can get out of it. You can dissolve it, and, you can begin right this moment. This audio book is divided into 2 sides so that you can download only one at a time if you wish. Each side is only $6. These two visual imagery exercises were developed to help you dissolve depression, fear, pain, limitations, frustrations, anxiety, low self esteem, blocks and any other shadows that may seem to impose themselves on your life. The processes presented on this program have been thoroughly tested and have proven themselves again and again to work when used consistently. It is highly recommended that you work with both meditations in this program. 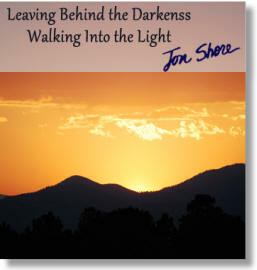 To listen to a sample of Leaving Behind the Darkness just click on the cover. Each side is $5. It is recommend that you use both sides every day during this process. Jon Shore hat eine verblüffend einfache Methode entdeckt, um der weitverbreiteten und so gefürchteten Depression ein für allemal ein Ende zu bereiten. Einst selbst ein Betroffener, gelang ihm der Durchbruch, als er entdeckte, daß die Einsicht, in Wahrheit nichts mit der Depression zu tun zu haben, seine Heilung bedeutete. Seit vielen Jahren nun arbeitet er mit Menschen, und die Erfahrung bestätigt bis zum heutigen Tage die Richtigkeit seiner damaligen Einsicht. In diesem kleinen Büchlein hat er die grundlegenden Gedanken und die einfache Methode seiner 14-Schritte-Therapie aufgezeichnet. Private counseling sessions are now available with Jon Shore by phone or Skype. Have you lost a sense of direction in your life? Are the answers within you hidden from view? Where is happiness for you? Would you like to get back in touch with yourself? Sessions with Jon are an amazing experience, even by phone. Uplifting, deeply insightful and enlightening. Sessions last approximately one hour and can be scheduled any morning between 8:00 am and 1:00 pm US Eastern Standard Time and between 08:00 and 17:00 Eastern European Time. After clicking on the button below and paying for your session, just email Jon's office to schedule your session. Sessions are $100. By clicking on this red button you can view or download more information about sessions with Jon. (You must have Adobe Acrobat installed to view this file. If you need to download mp3s to an iPhone or iPad you will need to first download it to your computer and then transfer it into your mobile device. You can also download directly to your iPhone or iPad by installing MP3 Music Downloader at the iTunes store.